If you were to dig into the soil of a natural, thriving garden, you wouldn’t be surprised to come across at least one soil-coated worm. Earthworms in the garden are not a new concept, and their benefits have been recognized for generations of growers. Worms have been natures recyclers from the start, taking organic waste and converting it into plant nutrients, in the form of excreted ‘gold’. These excretions, more commonly known as “worm castings”, are considered one of the most potent fertilizers in the cannabis industry. Worm castings have a long list of benefits for organic growing, including protecting plants from diseases and pests. 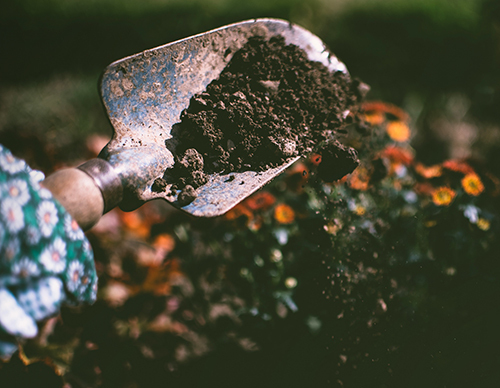 In this article we discuss the use of earthworms and worm castings in growing organic cannabis, and also give insight into how they can help increase your plants health, growth, and yield. Charles Darwin was a naturalist and one of the most famous scientists of all time, best known for his theory of evolution by natural selection. What was this iconic scientist most fascinated with? Yup, you guessed it, earthworms! 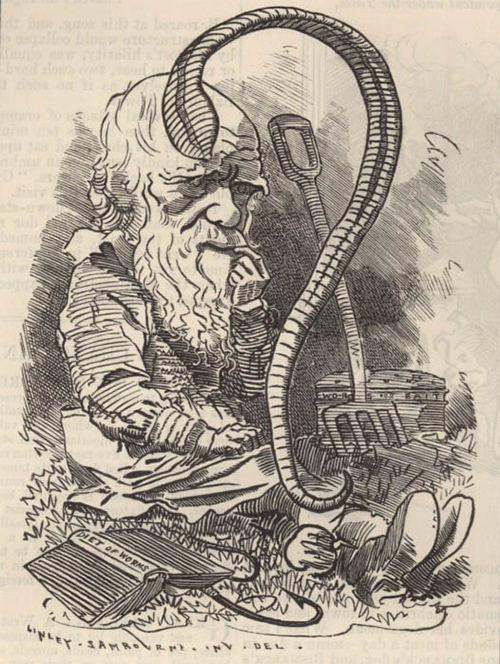 Darwin spent over FORTY years studying earthworms, their intelligence, preferences, and behaviour. These studies were eventually consolidated in 1881 in a book titled ‘The Formation of Vegetable Mould through the Action of Worms, with Observations of their Habits’. But that was over a hundred years ago. Surely agriculture has progressed passed the point of using worms for its success? The answer is, not really. The industry has come full-circle, initially turning to synthetic pesticides and fertilizers, but now slowly returning to the resources that nature provides us with. Most synthetic fertilizers are initially effective at increasing plant growth, but over time harm the plants and soil. Synthetic fertilizers can build up in soil making plants more susceptible to disease, and can also breakdown the soil over time, contributing to the huge issue of soil loss in our industry today. Worm castings on the other hand, are entirely chemical-free, can’t build up in crops, and are hugely beneficial to both plants and the soil. 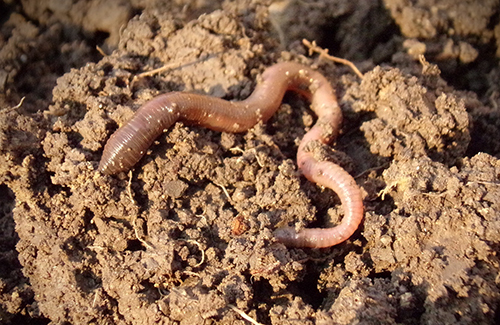 Let’s take a closer look at what makes worm castings a desirable option for organic growers. Vermiculture is the cultivation of worms for the betterment of soil health and plant growth, and ultimately for the promotion of sustainable agriculture. But what is it about worms and their ‘waste’ that makes them so unique and beneficial in our gardens? At first glance, earthworms don’t appear to be much more than mushy tubes. It’s hard to believe that these tiny cylinders are actually recycling machines. Earth worms work all night, all over the world, tirelessly decomposing our waste. As earthworms are hermaphroditic, they are able to reproduce with any other earthworm, making reproduction rapid and worm populations plenteous. Baby worms emerge from cocoons in the soil, where eggs were previously laid by a parent earthworm. Earthworms can live for up to ten years, but don’t often reach this age due to hazards in their environment. Much of an earthworm’s life is spent burrowing and finding decomposing food to pull down into their burrows. Earthworms prefer to eat decomposing leaves and grass, but can also feed on decomposing roots, algae, fungi, and bacteria within the soil. All living organisms cycle through birth, growth, reproduction, death, and decomposition. Decomposition is the breaking apart of organic matter, so that it can become the building blocks for new life. It’s the circle of life! 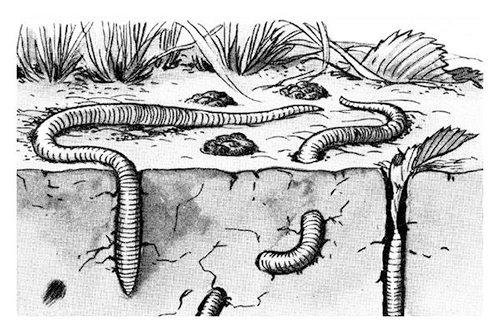 There are many organisms aiding decomposition, but the actions of earthworms are one of the most influential. Earthworms gain energy from decaying organic matter, much like we gain energy from the food we eat. In terms of consumption, a worm’s digestive system is relatively simple – a tube within a tube. Worms have a mouth where food is ingested, and a strong muscle in the anterior that works to grind up the food. In addition to grinding, worms also use enzymes and bacteria to further break down their food. At the end of its passage, the remaining material is excreted in the form of worm castings. 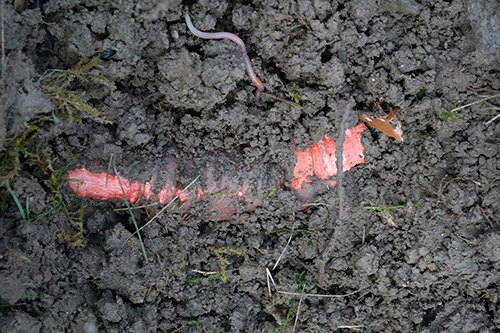 Worm castings are usually deposited within the soil itself, but there are some species that deposit their casts above ground in nutrient-dense heaps. 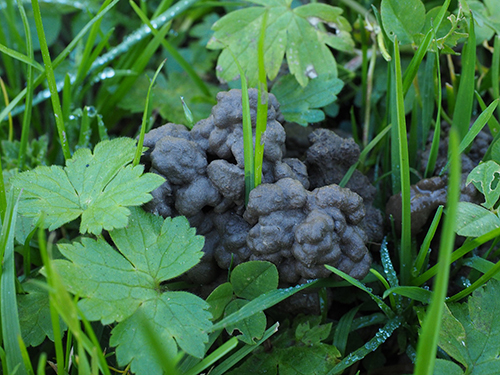 You may have already seen these heaps scattered across your lawn! Worm castings can also be known as ‘vermicast’, or, more simply, worm manure. However, their odour and appearance are nothing like a typical manure, and more closely resembles a damp soil. The main difference in appearance between soil and worm casts, is that worm castings are rich in nutrients and thus darker in colour. This clean, odourless, organic material is rich in all essential plant nutrients, and more importantly, provides these nutrients in a water-soluble form for plant use. In addition, worm castings also keep nutrients in the soil for a longer period of time. Providing slow-release, organic nutrients would be reason enough to add worm castings to your growing arsenal. However, the lists of benefits doesn’t stop there! In addition to being rich in nutrients, worm castings are rich in beneficial microbes that contribute to a thriving soil environment. These microorganisms are often multiplied within the digestive tract of the worm, aiding in nutrient breakdown. Microbes also perform reactions that stabilize nutrients, making them more available to plants. Soil enriched with worm casts has about 100 times more bacteria than regular soil, and can even increase the efficiency of other fertilizers if used in conjunction! they can act as a buffer, helping plants grow in soil where the pH is unbalanced. they can hold up to 9 times their own weight in water and provide readily available water to plants. Finally, the best part about all these worm cast benefits? You can’t over-do it! Worm castings hold nutrients in a way that releases them over time, and thus will not cause nutrient burn in your plants. They can also be used by many of the organisms in the soil food web, and will not build up in the soil. As plants become healthier and are better able to protect themselves against pests and diseases, their need for pesticides is reduced. Worm castings help in plant health and growth, but they can also act in plant defence when attack is unavoidable. Worm castings are rapidly gaining popularity as a bio-pesticide. They contain an enzyme, called chitinase, that acts as a pest repellant and also strengthens the plants natural defence. 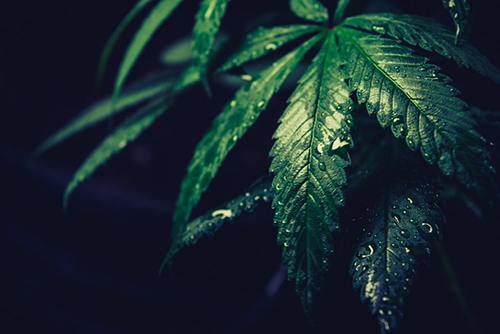 In cannabis plants specifically, worm casts act on insect pests such as spider mites and aphids, and also on fungal diseases such as Pythium rot. Researchers are currently studying the mechanisms of disease resistance that worm casts provide, not only to plants, but also to seeds prior to germination. Worm castings are known to shorten the seed germination cycle, but are now also being found to colonize the surface of seeds, protecting them from infection. Worm Casts provide an organic alternative to synthetic pesticides, which are currently being used to coat seeds in the industry. Researchers are finding promising results where worm casts provide effective seed protection, and thus promote a healthier environment. As we saw previously in Soil Remediation with Cannabis, cannabis is extremely effective at taking up toxins from the soil. This is great when cannabis is used for bioremediation, but not desirable for plants being used for consumption. Worm castings are effective at holding toxins (such as heavy metals)in the soil, which benefits our plants by slowing down toxin absorption – yet another win for worm castings! One significant problem with worm castings however, is that they are not all created equal. Earthworms take in decomposing material, along with whatever compounds are in their surroundings. As their surroundings may contain toxic material, earthworms can become toxin vectors. This is a problem, as earthworms often become a food source themselves, moving toxins up the food-chain. And DDT is only one of many environmental contaminants! This alone highlights the need for a safe, organic environment when rearing worms, and the need for high-quality worm castings. Got earthworms? No need to panic! 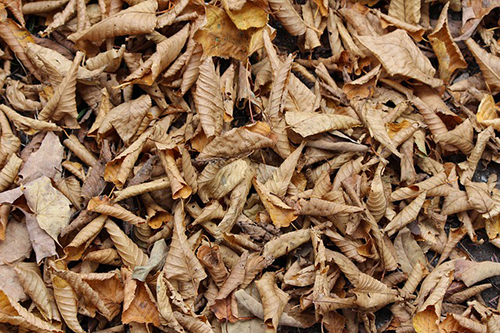 Earthworms eat decomposing organic matter (like dead leaves) and will actually improve the health of your soil. Hopefully by now you’re convinced of the many benefits in using worm castings to grow organic cannabis. You really can’t go wrong! But you may be thinking…why not go straight to the source and use live worms? You certainly CAN use live worms in growing organic cannabis. Contrary to popular belief, earthworms only feed on decaying matter, and are therefore no risk to your plants. If you’re confident in the quality of your soil, then using live worms can have numerous benefits. The problem with using living worms lies in keeping them in your growing area. Earthworms are happy in a constant environment, with balanced temperature, moisture, food and oxygen. However, this type of environment is not always ideal for cannabis growth. Nutrient adjustments and water flushes are often a part of the cannabis growing cycle, leading to instability in the worms habitat. Unfortunately, this instability most often results in earthworms burrowing away from the area. 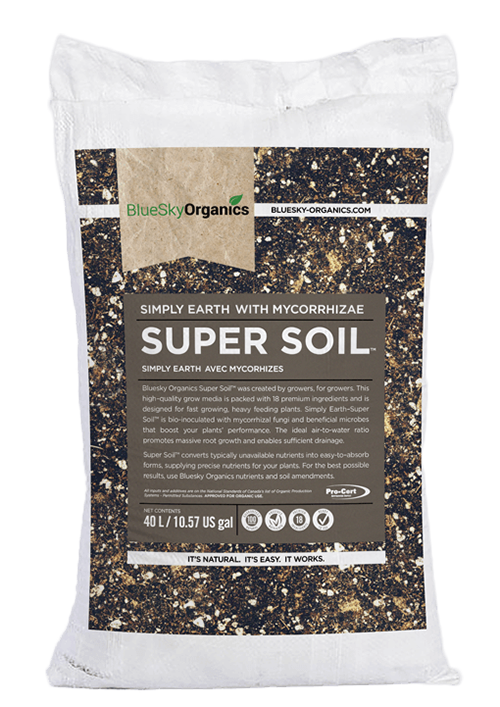 BlueSky Organics Super Soil is our pre-fertilized, ready-to-use growing medium. It contains 18 organic ingredients, including high-quality worm castings, allowing you to conveniently reap all of the benefits listed above. The benefits of organic growing are numerous and start with the soil itself, where your plants take root and obtain all of the nutrients they need. All of the 17 other ingredients in Super Soil also have a purpose. They are designed to aerate the soil, hold water, cultivate beneficial microbes, and ultimately boost the performance of your plants. BlueSky Organics also offers custom soil blends, for those growers with specific needs in indoor or outdoor growing environments. At BlueSky Organics we believe in using the ingredients that nature has provided for us, for the sustainable growth of premium organic cannabis.